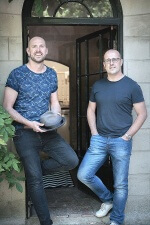 The story: Papilio is a bespoke kitchen design company run by Matt Prall and Stephen Garland. Working with skilled and trusted craftsmen in the South West, Papilio ensure that the quality of the kitchens they design continue to serve clients for a lifetime. The bespoke design comes from a very personal approach to creating a functional and beautiful space, reflecting the tastes and values of the client and celebrating the art of cooking and entertaining. They specialise in integrating the latest technology and modern appliances into kitchens. Prices for a bespoke kitchen start from £25,000. The brief from the client was to create a vibrant family room, which was both functional and social. They wanted a contemporary space that was spacious and flooded with natural light. The clients already had several pieces of Scandinavian furniture that need to be incorporated into the interior scheme, which then flowed into the kitchen space. The mustard yellow colouring makes it a vibrant space, which is on trend for the season. By subtly bookmatching the oak veneers throughout, an intense sense of quality and style has been conjured. The veneers also provide texture to contrast and break up the clean lines of the kitchen and give a visual link to the oak furniture in the adjacent dining area. The stainless steel worksurfaces provide a robust, hygienic preparation surface, which looks effective and adds to the modern, industrial feel. We finished it off by randomly hanging oversized filament lamps on black braided cord. We like to use modern technology within our kitchens so we integrated a wonderfully discreet Siemens downdraft extractor that can withdraw into the worksurface when not in use. It also includes a concealed task light to illuminate the cooking area. All of the cabinetry used is completely handmade for the kitchen. Because of the architecture, it would have been impossible to fit standard modular units into the space and with the bespoke nature of our work we were able to accurately survey the space, enabling a truly custom design that complemented the adventurous architecture. This project involved major renovation work. The kitchen was located in a new extension to the rear of the house creating the largest reception room in the property. The integration of the bespoke joinery into such an unusual space was a key factor for this project to work. The choice of materials helped to achieve the Scandinavian look that the clients desired. All of the veneer was hand laid for this kitchen, which creates a very subtle effect while having a big impact and really complementing the bold yellow. The stainless steel worksurfaces create quite a statement and by inlaying the stainless steel hob, the workspace flows seamlessly. The key advice we always suggest to our clients is to really try and review how you want to use the space and how the space needs to work for you at different times of the day – rush hour / school run in the morning and then relaxing for an evening dinner with friends! Once this has been considered, it’s the task of the kitchen designer to make this work within the confines of the allocated space.